Whether it’s editing a contract, approving a document, or accessing shared files, your team relies on some level of collaboration every day.The bad news is that most workplaces aren't great at organizing files and business content for optimal collaboration. The problem can go from inconvenient—files names that are all over the place, for example—to downright frustrating, like when the document you need is locked in a filing cabinet at the office, but you’re working from home. Untangling this mess may seem daunting, but there are a few straightforward steps you can take to get your business files under control and boost productivity. Since you’re doing a deep dive into your business content anyway, why not start by getting rid of anything you no longer need? When purging, ask whether the file in question reflects or does not reflect your current workflow. Once you’ve completed your audit, clean up your file structure and naming conventions. Again, align the structure around the way your team works, and make the names of folders and files as helpful and intuitive as possible. Of course, one of the biggest challenges of implementing a new system is getting people to use it. It doesn’t always happen that employees happily jump on board with new file conventions. If they don’t, that’s okay! The additional strategies below will help keep the collaboration flowing, even without a perfect file system. But wait—are we talking digital or paper files here? Both! If you’re one of the organizations that still rely on paper files, read on. Old storage methods are a major productivity stumbling block. Bulky filing cabinets simply waste time (and money) as employees search through folders looking for what they need. Paper business content isn’t gone forever, but there are more efficient ways of storing those important documents. Consider document capture software to capture, classify, and validate your high volume of content so that employees can work smarter, not harder. Document capture software transforms documents from virtually any source (MFPs, scanners, emails, etc.) into searchable content, while also extracting business-critical data from your everyday. Once your content has been captured, you can automatically route it to the destination of your choice, saving serious time. Workflows span your entire comapny, keeping business processes on track and making collaboration more straightforward. But workflows are only effective when they work! Remove the hesitation and guesswork from daily business workflows, such as accounts payable processes, through automation. AP automation software allows you to streamline approval routing, generate purchase orders, integrate with financial systems, and instantly perform matching tasks, all while saving hours of printing and filing every week. Automate other manual operations tasks by integrating your documents with the business applications you use daily. By streamlining workflows, you can add transparency to your processes and create more connected teams. Even once you liberate your office space from the bulk of filing cabinets, digital files can be just as painful to search through. Eliminate time-consuming the document hunt with Enterprise Content Management (ECM) software. By using Enterprise Content Management Software, you can find the exact documents you are looking for instantly, without leaving your desk. Even complex searches are streamlined with the ability to search by metadata, upon multiple fields. The result? 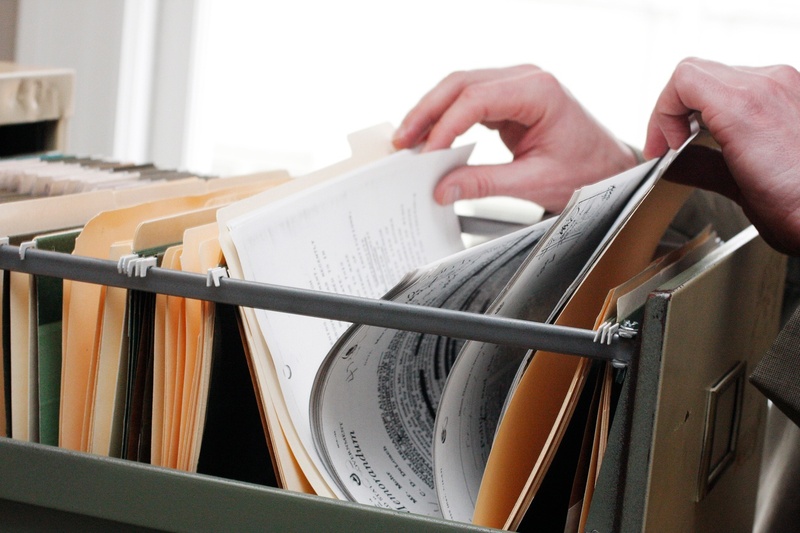 Even if your internal filing system breaks down, your employees can still quickly and easily find the business files they need. The mobile workforce is increasing daily. If your remote employees want to collaborate with other team members, they need access to specific business content even when they’re not in the office. To accomplish that, you’ll need efficient document management. Web-based document management software allows records to be accessed through a laptop, tablet or smartphone, lightening the load of paperwork to carry and reducing the stress of forgetting a file. Collaboration becomes much simpler, even across multiple geographic locations. With the ability to quickly access documents and share them, teams can work together on the same project, even remotely, with no hassle. True collaboration requires transparency. The right people need access to the right information so that everyone can be on the same page about versions, edits, approvals and more. ECM software records every document action, including when a file was accessed, what actions took place and by who. Views, edits, approvals—everything is recorded in a document history log. With this system, your team can react faster and more efficiently, boosting productivity and taking the frustration out of collaborating on business documents. Fixing these business file collaboration issues will not only reduce stress amongst your team, but it will boost teamwork by making it simpler for people to work together. 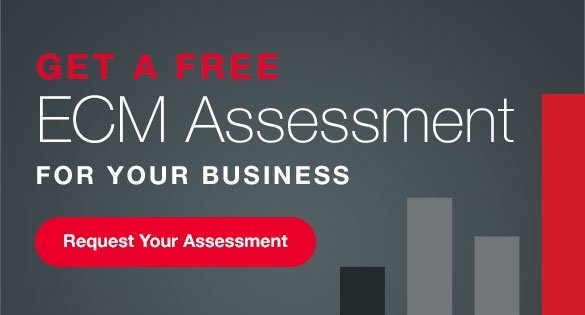 Need help implementing your business’s content management system? Get in touch with SymQuest to connect with an IT Consultant who can help you get started.